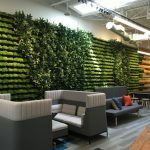 When Ottobock decided to move it’s U.S. headquarters from Minneapolis to Austin, it tapped Page to transform 37,000 square feet of raw space into an inspiring workplace that would galvanize its employees to make the move. The company, which designs and manufactures state-of-the-art prostheses, braces, orthoses, children’s wheelchairs, and more, also wanted Page to design a space that would immerse new employees in the company’s values and culture, and increase communication and collaboration between teams to drive operational efficiencies. The new office offers an immersive experience of Ottobock’s values of movement and wellness. Crisp lines and sweeping curves suggest motion, while their forms and proportions evoke Ottobock’s products and mannequins. Lacquered surfaces, smooth glass and meticulous detailing express the company’s attention to material quality and precision engineering. Elevated sections of floor provide all employees, not just those at the window line, with access to natural light and views. Image courtesy of Casey Dunn Photography. The plan is deliberately open to preserve sightlines and allow natural light to suffuse the space. The design features few private offices, most of which wrap the core, and locates workstations on the window line so that most employees have access to natural light and views. A raised floor in the southeast and northwest sections of the office defines a continuous path around the office that connects teams with the social spaces, showroom, and training areas. The path concentrates foot traffic, which reduces noise and distraction around the workstations and creates opportunities for employees to bump into each other throughout the day. In addition to assigned workstations, the design also places individual high-backed Alcove chairs by Vitra throughout the office. Oriented toward the window, these comfortable chairs provide employees with another option for heads-down work and the visual and acoustical privacy necessary deep concentration. Crisp lines and sweeping curves suggest motion, while their forms and proportions evoke Ottobock’s products and mannequins. Image courtesy of Casey Dunn Photography. The plan incorporates numerous formal meeting spaces and informal gathering areas to encourage communication, collaboration, and connection. The open office pinwheels around a social hub, which incorporates a spacious kitchen with coffee bar and a 30-foot custom, communal dining table. Through an archway, employees have a more private lounge with high-top tables and comfortable banquette seating for informal internal meetings. Double Alcove loveseats by Vitra are placed throughout the open office for on-demand meetings and collaboration. While some huddle rooms and conference spaces incorporate interior glazing for privacy, most meeting areas are open and can transform into private and acoustically isolated space with the pull of a thick drape. In addition to the social hub and separate employee lounge, the design also incorporates two shower/changing rooms, as well as a wellness/mother’s room. The training center is comprised of a showroom and larger conference area for lectures and product demonstrations. Founded by German prosthetist, Otto Bock, in 1919, the family-owned company employs 5,000 people globally in 46 locations and serves customers in 100 countries. Image courtesy of Casey Dunn Photography. The base building achieved LEED Silver. Ottobock’s offices are located in building 7 of The Domain, a mixed-use development in north Austin that includes popular restaurants and retail, as well as several other top employers. The office is a short walk MetroRapid bus service and the MetroRail Red line, both of which provide access to downtown Austin. Ottobock opened its U.S. operations in Minneapolis in 1958, so the decision to relocate the headquarters to Austin, Texas reflected a strategic shift, and the success of this endeavor required considerable research and planning led by the regional executive team. They selected Austin because of the city’s reputation as a tech and innovation hub and for the skills and talent of its workforce. Regional President and CFO, Andreas Schultz, knew that the office environment played an important role in persuading some employees to relocate from Minneapolis, attracting new talent to the company and helping vendors and users understand the company’s products. As a result, he and others on the leadership team contributed to the vision and offered feedback on the design throughout the process. The design encourages movement—and thereby supports wellness—by offering a variety of environments for individual or team-based work and by centralizing amenities at the core, so that employees move around throughout the day. Image courtesy of Casey Dunn Photography. The design team facilitated interactive conversations with the client early in the design process. The team focused on how people would feel in each space and how the areas related to one other. The concepts were very new to Ottobock and its leadership wanted to make certain that acoustic and visual privacy needs were met while also achieving larger collaboration and interdepartmental cross-pollination goals. Data gathering occurred during the interactive meetings at the beginning of the design process rather than through surveys. Page did conduct a post occupancy survey. Most of the staff was relocating from Minneapolis to Austin, so there was a larger company change management strategy aimed at helping the staff integrate into Austin. Inspiring collaboration was a key facet of the design. Image courtesy of Casey Dunn Photography. The program included a showroom to display both modern and historical examples of Ottobock’s products. This evolved into an exhibition on Ottobock’s history, impact and legacy. Page and Ottobock integrated as much of the European standards of access to daylight and views into the space as possible. Movement and universal access are the twin pillars of Ottobock’s mission. The design encourages movement with centralized amenities and a walking path that encourages employees to get up throughout the day. The entire office goes beyond code to embody universal design, so that users of all abilities feel comfortable. Elevated sections of floor provide all employees, not just those at the window line, with access to natural light and views. Barrisol panels act as interior skylights by introducing soft light and glow to interior spaces. No VOC materials, natural fibers, reclaimed wood, and cleanable surfaces ensure indoor air quality. Energy efficiency is baked into the lease, which details green building requirements 10 percent more stringent than the already strict local code. Occupying the center of the space, an inserted form of sinuous walls and planes contains the office’s social and informal meeting spaces and conceals storage and mechanical spaces, so that the office feels airy and uncluttered. Its shape and materiality are drawn from the organic curves of Ottobock’s products and white mannequins, and it celebrates the reciprocal relationship between engineering and craft through dramatic 20-foot cantilevers achieved through rigorous structural engineering. One of the most effective systems in the project are the “acoustic drapes” that surround two major conference rooms. These are a three-part system that block sound from going out and soften the reverberation inside the room. They are supple, beautiful and have become one of the employees’ and CFO’s favorite features, because the quality of sound in those rooms is so humane. The project was constructed within an existing concrete shell building. Additional steel included custom fabricated steel structures for cantilevered steel canopy, ceiling structures, and moveable glass wall system. All are concealed within sculptural drywall enclosures. Interior framing for drywall partitions is light gauge metal framing. Interior glazed ceilings use structural tube steel, which was painted. Page had steel structures custom-fabricated for the design. Image courtesy of Casey Dunn Photography. All of the furniture was provided by Vitra. Major systems include Level 34 for the workstations; the Alcove system for soft seating; ID Trim and Softshell Chair for the task chairs; HAL Tube, HAL Barstool, Unix Chair Cantilever for occasional chairs; Click, Joyn for tables; and the Suita sofa with headrest. The office is designed to provide an immersive experience of Ottobock’s brand values to help employees, vendors and users quickly grasp the company’s mission and purpose. Crisp lines, flowing curves, lacquered surfaces, and smooth glass are expressions of Ottobock’s emphasis on materials. Meticulous detailing and careful placement of all exposed elements, light fixtures, and acoustic ceiling panels celebrate Ottobock’s rigorous and empirical approach to design. The showroom proudly displays a timeline of Ottobock’s history, as well as vintage and modern examples of its best-known products. Located adjacent to their training facilities, the showroom helps Ottobock employees connect suppliers and users with the impact and legacy of the company’s products. A defining feature of the showroom is the “welcome wall.” Fabricated of local reclaimed pecan and adorned with a heat branded version of the Ottobock logo, the welcome wall showcases signatures of every employee or visitor to the space. Recent studies in social psychology suggest that one’s signature is strongly associated with one’s identity; signing one’s name increases the likelihood of behavior consistent with that signature. By offering employees, visitors, and users the opportunity to sign the feature wall, Ottobock is creating powerful subconscious connections between the brand, their mission and an individual’s behavior. The heart of the project is the shapely core inspired by the anthropomorphic qualities of the client’s product. The design team crafted the shape as it met all of the other programmatic needs so that the strong concept was also flexible and adaptable. The entire space was designed to promote employee health and wellness and to showcase this core value to visiting suppliers and users. The Vitra conversation and quiet space seating areas provide a very welcome respite to the larger open areas for work or momentary meditation. The employees were most concerned about the open-plan concept, but they have valued the increased collaboration and interaction. Yes, Page did develop a survey. We were pleased to hear how much the teams appreciated the acoustical curtains in the conference rooms. Their descriptions of the space and the sound quality were all wonderful to hear. Curtains help with sound control. Image courtesy of Casey Dunn Photography. The amazing verity of statistics and writing technique is accompanied for the scholars for growing and promoting their abilities. The readers can get exceptional choice approximately making writing papers in online.